WHAT TO EXPECT A sea kayaking holiday to Shetland has a lot to offer - the many different aspects and types of coastline coupled with the Atlantic on one side and the North sea on the other means that there will always be lots of energy in the sea. However, its not all big waves and exposed headlands - there are many sheltered sections of coastline to explore and they are no less spectacular than the big Atlantic cliffs. We will either paddle day trips from a base on the islands or if conditions allow then we'll head out on expedition, or complete a combination of the two. This is our most advanced journey and is aimed at very experienced paddlers, please check the grading information below if you are interested in this trip. 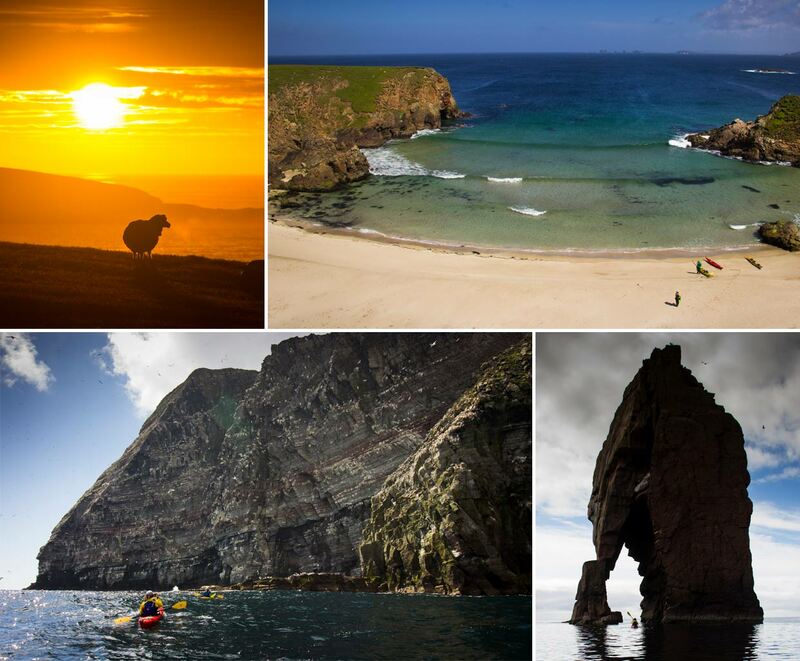 TRIP HIGHLIGHTS A nine day sea kayak holiday exploring the Shetland Isles. 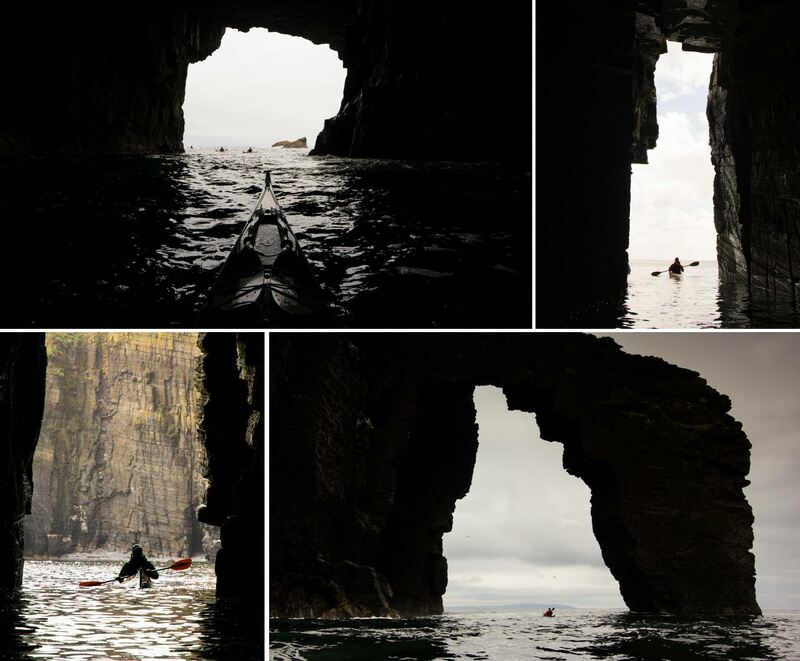 Spectacular islands offering some stunning sea kayaking. The islands are rich in wildlife - Seabirds, Seals, Otters and Whales can all be seen here. 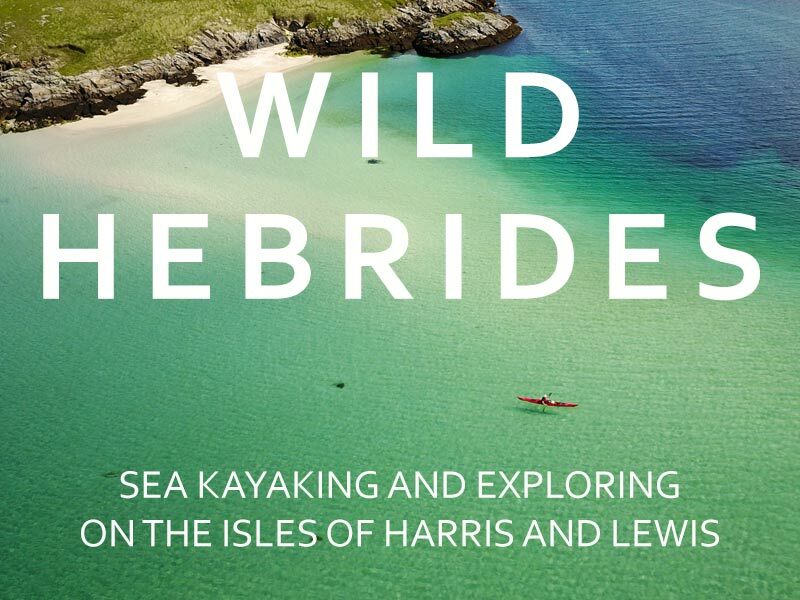 A chance to complete advanced sea kayaking journeys with powerful tides and exposed coastline. DATES AND PRICES 9 Days | £980 per person | food included | scroll down for full details. This trip is our most advanced journey - aimed at people who paddle regularly and enjoy rougher conditions such as playing in tidal races and rounding exposed headlands.  You should have a good level of experience and ability in a sea kayak, being able to confidently handle the kayak in force 5 winds and being accustomed to paddling efficiently over distance and feeling comfortable out on the sea. The daily distances and physical demands on this trip will vary but you should have the fitness to paddle up to 30km in a day. 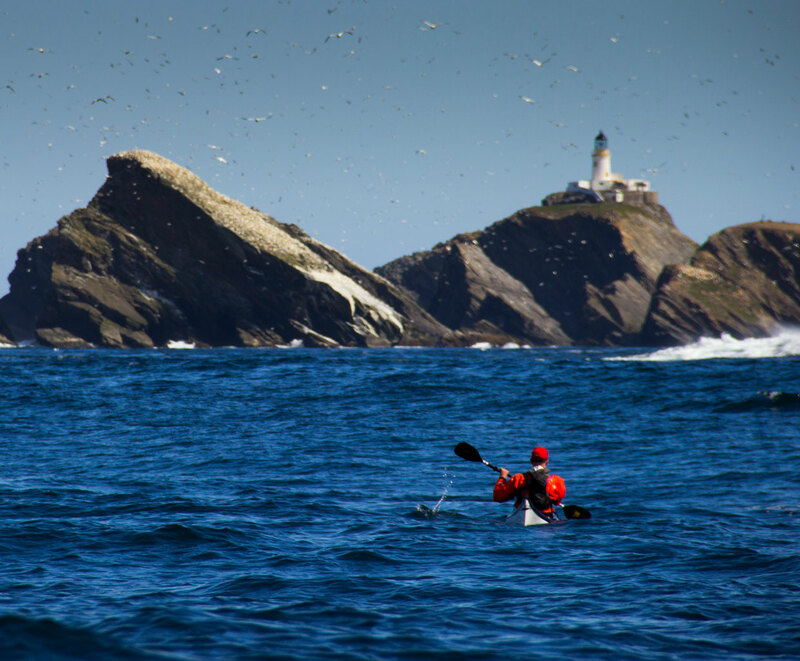 This trip is designed to give advanced paddlers the opportunity to experience some challenging and committing paddling - we will be aiming to paddle in tidal races and round the major headlands as part of this trip. There are some very strong tidal flows around the islands and some excellent tidal races and so having a confident level of tidal paddling is essential for this trip, as is paddling in confused seas such as areas of clapotis. If you have any questions about the experience level needed to join this trip then feel free to get in touch. 15th - 23rd June 2019 | Please get in touch if you are interested in joining this trip. *THE MOST NORTHERLY SEA KAYAKERS IN BRITAIN - For a moment we had been the most northerly sea kayakers in Britain, paddling out to Muckle Flugga at the very northern edge of the Shetland Isles. The Swell and tide hadn't made things easy but we all pushed on, reveling in the challenge on offer. We reached the lighthouse and looked out across an unbroken arc of sea to the North - there was nothing between us and the Arctic. For the next few hours we paddled between the stacks and cliffs of Hermaness, through caves and tunnels and always in the presence of thousands of seabirds. We had paddled underneath the cliffs at Hermaness and watched a few thousand Gannets circle over our heads. Now we set off to walk to the cliff top and watch the Gannets from above. Although it was late in the day there was plenty of light - this far north the sun hardly sets in the summer months. The scene from the cliff top drew us in for hours as we watched the Gannets through the bands of cloud and light that moved over the cliffs. This extreme, wild edge of our islands was fascinating to us - a place none of us could imagine existing amongst our crowded islands. DATES AND PRICES £980 per person, includes guiding, equipment and food. ACCOMMODATION The trip is deliberately flexible. 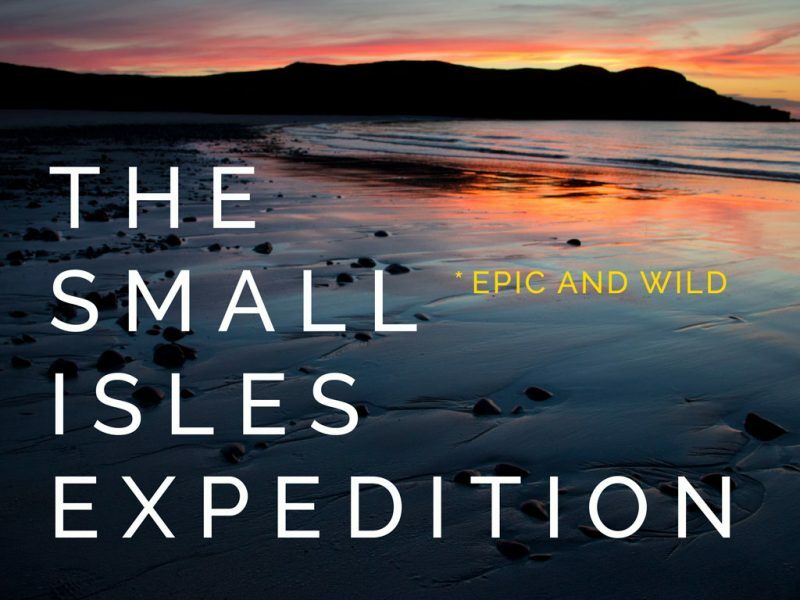 The default will be to wild camp and run day trips, in bad weather we will seek accommodation (using the network of Bods, not included in the trip fee average £10-15pn) and in perfect conditions we may choose to go on expedition and circumnavigate one of the islands over two or three days. FOOD Includes meals - lunch on day 2 through to lunch on day 8. We can accommodate any dietary requirements if notified in advance. START AND FINISH Meet at Arisaig at 09.30 or Aberdeen at 15.00. Finish at 08.00 Aberdeen or 13.00 Arisaig. Up to 8 people with 2 guides. 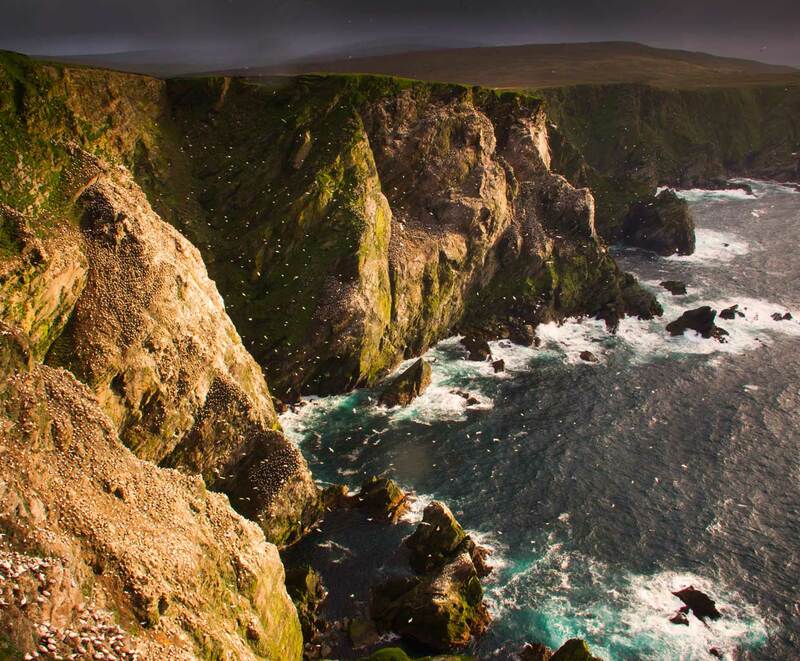 The weather in the Northern Isles can be varied but it also changes quite quickly, over the last few years it has been rare that we've had to take a day off the water due to strong winds and we've had some wonderful periods of light winds and calm seas. The islands do offer some more sheltered options and we can nearly always find somewhere good to paddle in any conditions.